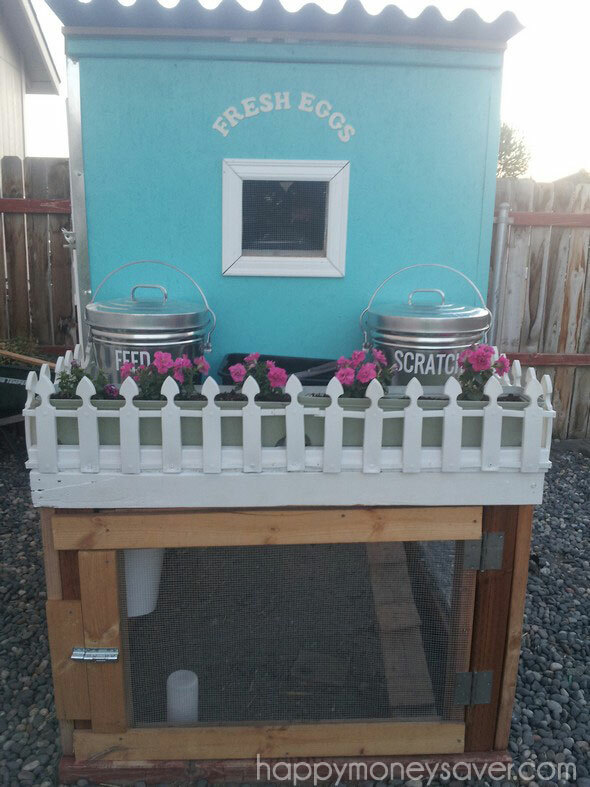 I am so excited to finally be able to share the pictures of my pretty little blue chicken coop with the white picket fence! As many of you know I have 4 chickens, live in the city and secretly dream of having my own big farm someday. 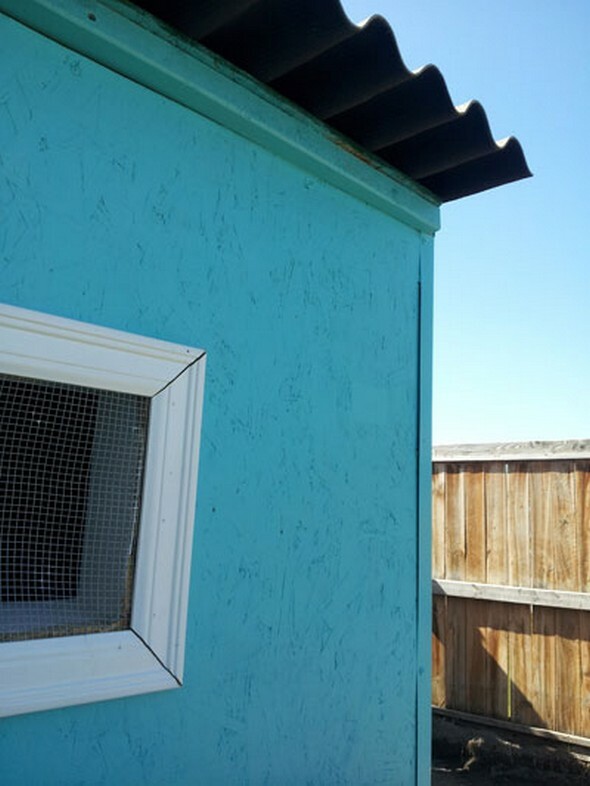 I have a big yellow lab dog which means I cannot let my chicken free range my backyard – but even if I didn’t have that dog my neighbors probably wouldn’t want to see chickens perched up on my fences either. So I needed a coop that they could spend a lot of time in. 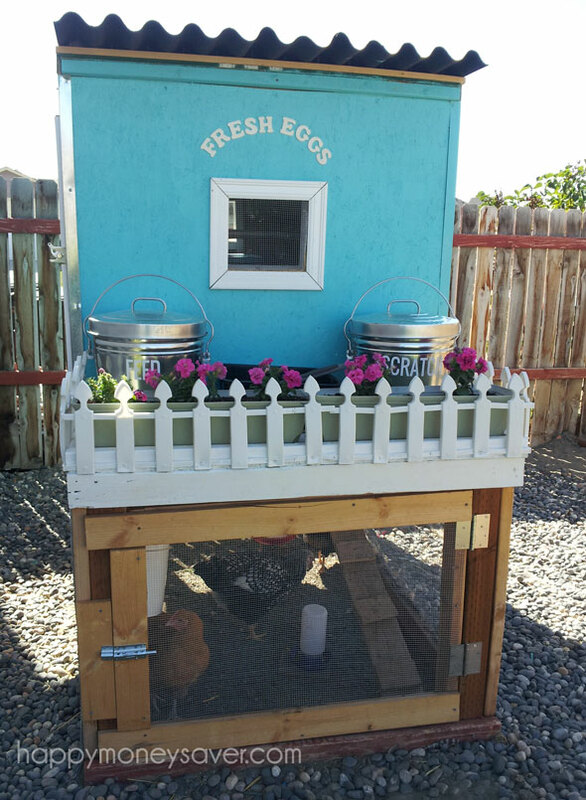 While googling and googling different chicken coop plans, I found this Williams Sonoma coop and fell in love. But who can afford that $1500 price tag? Not me, that’s for sure. So I showed the look to my husband and asked him if he could build it. Now let me stop right here. There are some things you need to know. My husband is not a country boy. At all. He is a work-in-an-office-all-day accountant. He wears business shirts, ties and slacks. 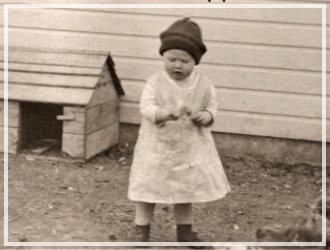 For him to even agree to us having chickens in the first place was a sign of his great love for me. And just to let you know I don’t think even once I have seen him hold, talk to or coddle them chickens. He always says the reason for this is because somebody has be the non-involved one if we ever needed to… (which at this point I stop him immediately and say “Nooo – no one will ever need to kill my chickens for food!!”). Yeah, that’s what you need to know about the happy husband. 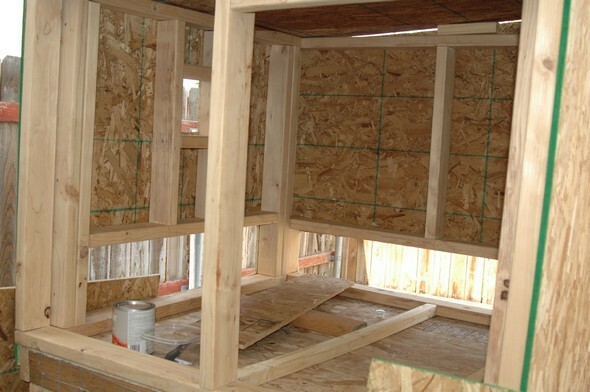 So back to me asking him to build me a pretty chicken coop. Turns out this man of mine loves working with wood-building! 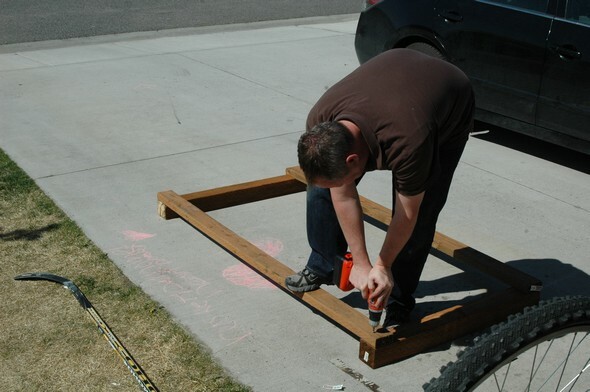 He hasn’t really built anything I can remember since we have been married, just usually cuts things like molding and other house fixin’ projects. And I wanted to make love to him right then and there. That’s right people – that’s what this chicken stuff does to me. It was a beautiful moment. And every day these past few months as he has been building, I remember this and am so grateful for his love. Okay moving on before I start to tear up. Because once the tears start coming, the kids will start asking questions. 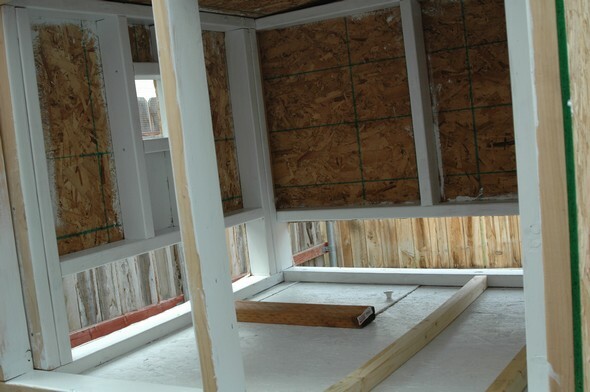 Here are some of the pictures of the building process. My husband didn’t have a pattern, just went off the picture I showed him. 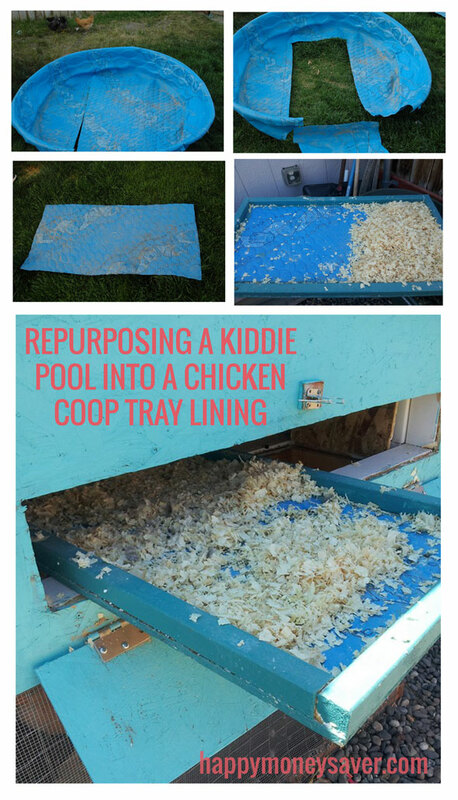 To be thrifty I used an old kiddie pool and cut out the plastic to use inside our chicken coop pull out tray. This will make everything so much easier to clean as I can spray it off with water. 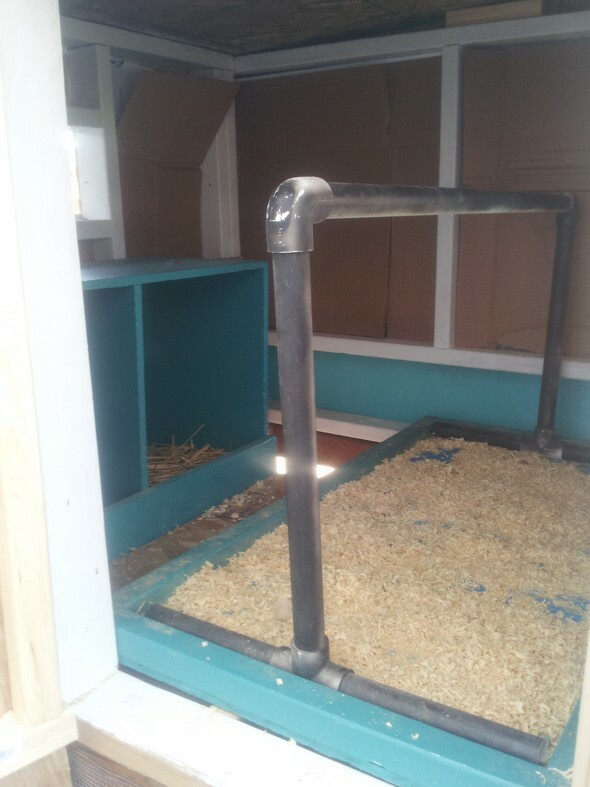 We also had some pvc pipe hanging around and my genius husband made their roosting bar out of PVC! It works great! TA DA!! 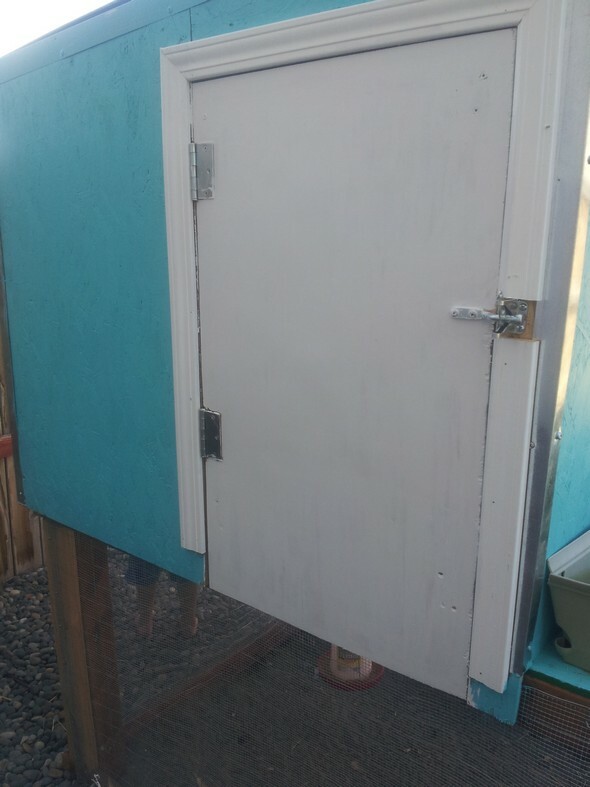 THE FINISHED COOP! 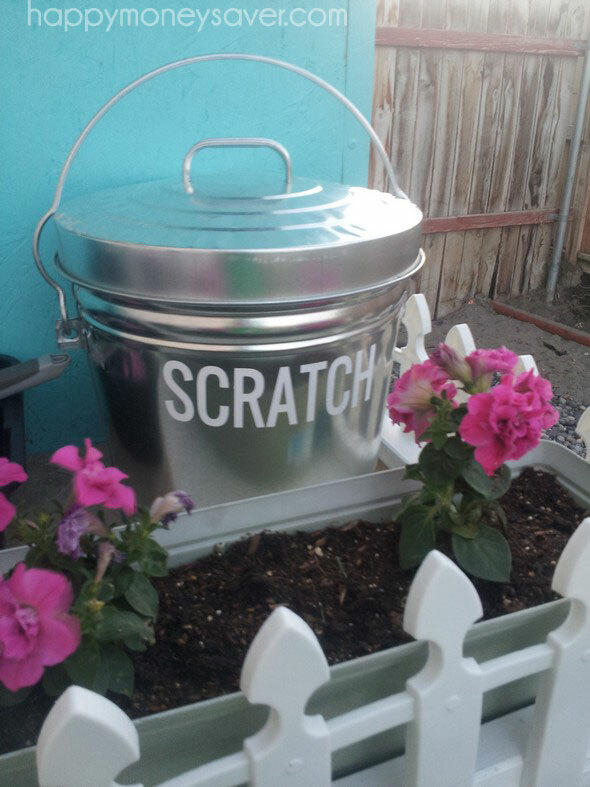 I found these cute Behrens 6 gallon lockable metal garbage cans on Amazon – they make it easy for me to feed them & give them scratch (treats). Plus they are on 50% off sale right now. 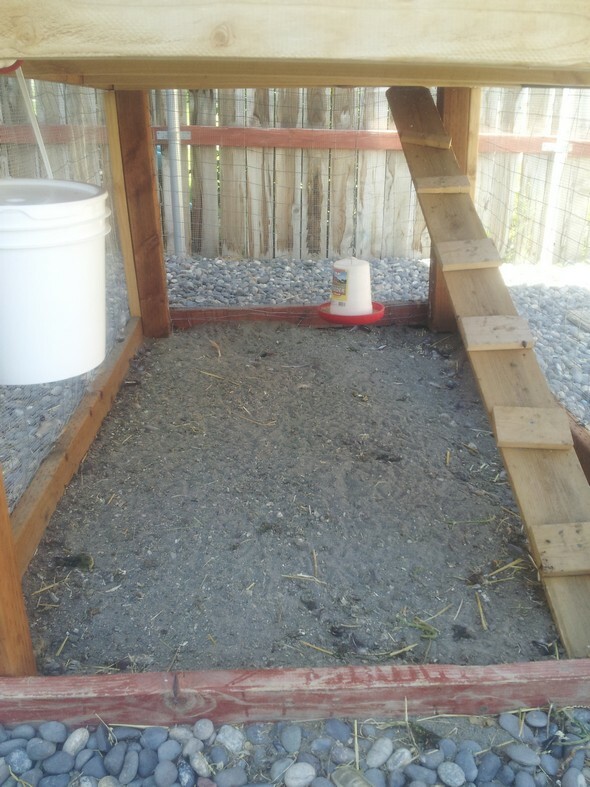 Since the floor of my coop is made of sand, I just use a cat litter scoop to clean out the poop once a week. 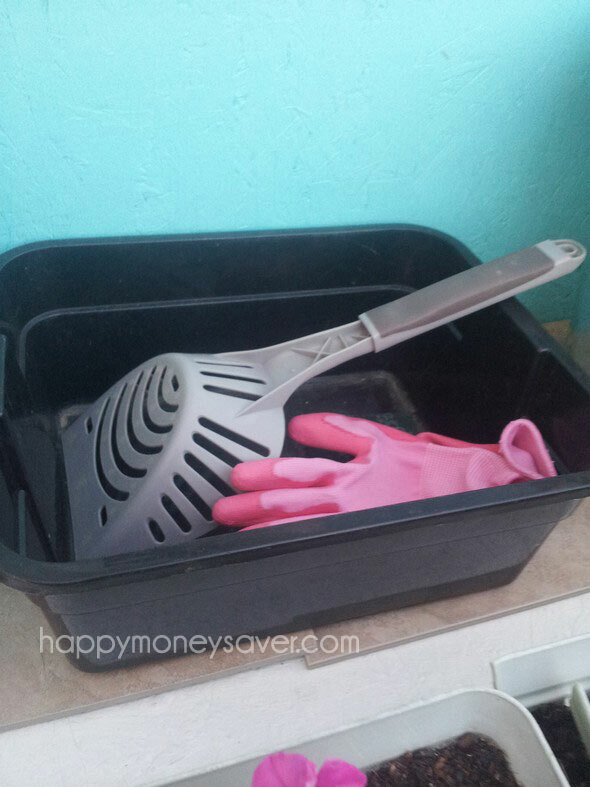 This is my tub where I hold my gloves, and the scooper. My husband and I were thinking this would only cost us around $200-$300 using some older wood pieces we had around the house and such. But it ended up costing us around $500. 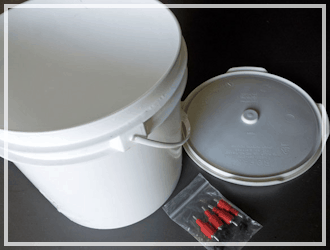 Still a huge savings – considering the Williams Sonoma one is priced at $1500. But it also embarasses me a bit since I am such a thrifty gal. And I know I will not get enough eggs out of this to pay if off. But I do love it very much. 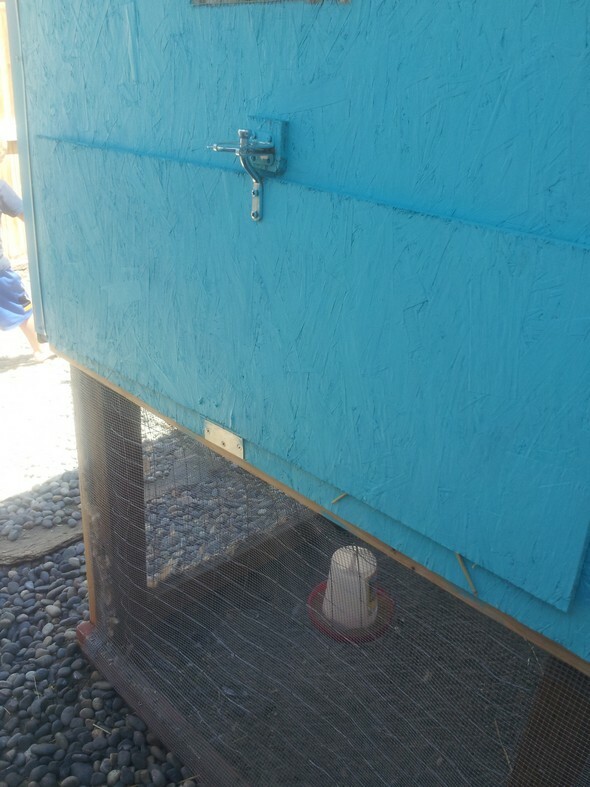 And my chickens are happy and healthy in there as well. I would love to know your thoughts! Do you like it, hate it or see any design flaws? Have any questions? Thanks for letting me share. I love it and I especially love how you told your story, along with the great photos. 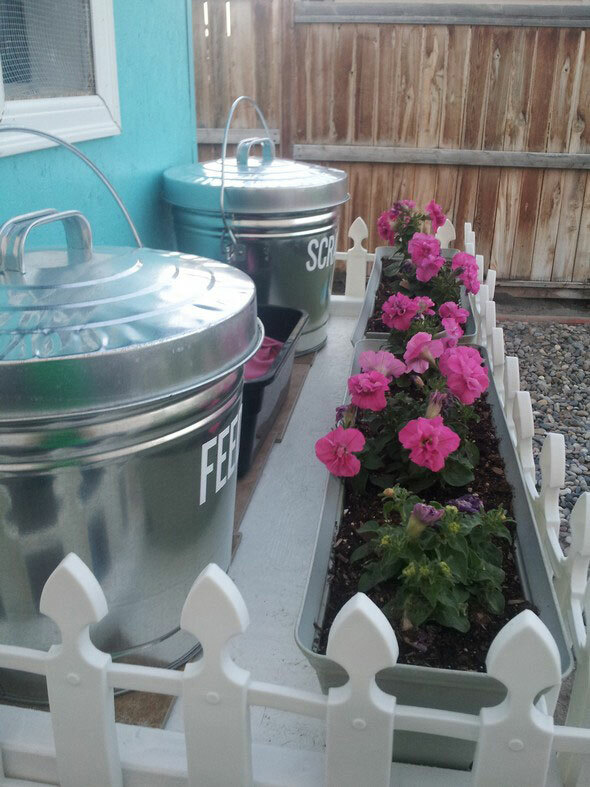 I loved your design, with the pull-out tray, the white picket fence and the flowers. 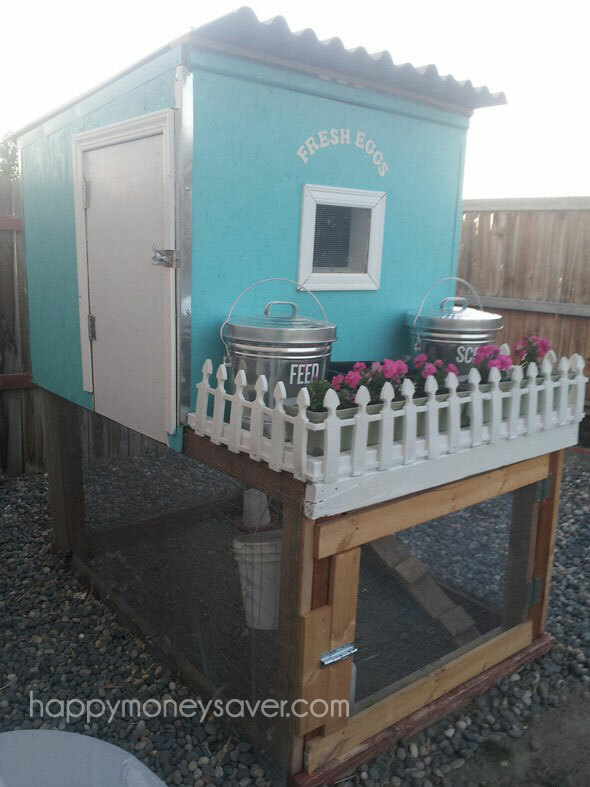 Very nice chicken home. I looove your coop! It is adorable. 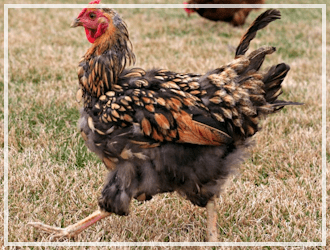 I am looking at getting some of my own chickens when the weather warms up (currently in Southern US snowed into my house). I was wondering if ya’ll just made up the dimensions as you went along or if you had a basic design/blueprint you followed? If you were following one could you please point me in the direction of where you got it? Thanks for your time & this great blog! 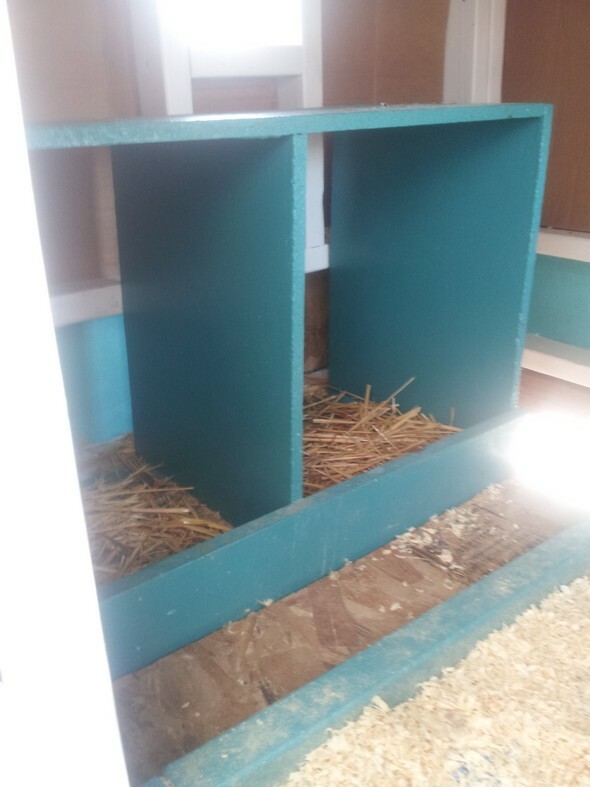 My husband just kind of looked at the Pottery Barn coop picture and made it up as he went along. I wish I had some blueprints for you..but I don’t. So sorry. So happy you love it though! 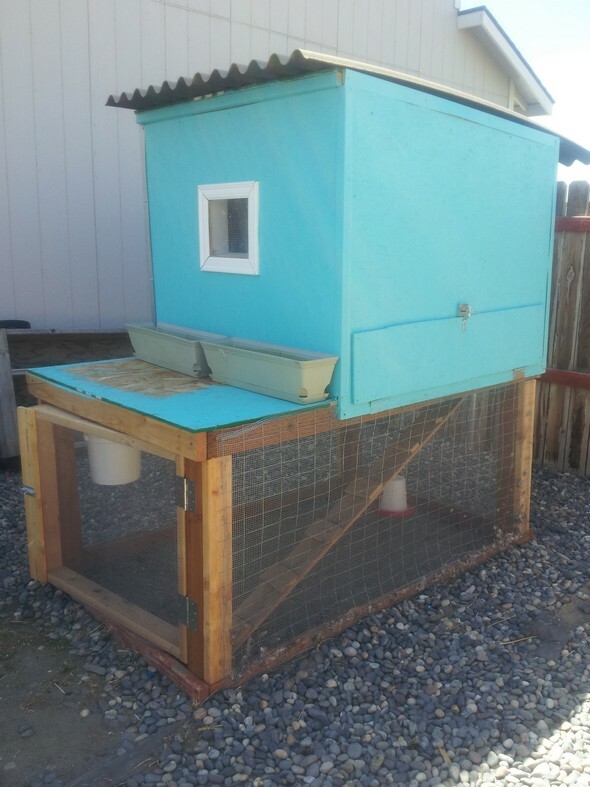 We have a small coop for 3 chickens, and I got a pretty good deal on a kit off season. One thing I added was to get the really cheap linoleum squares from home depot. The were like 30 cents each and I only needed 6. 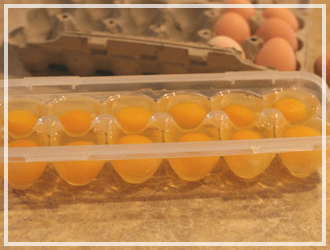 I used them to line the floor of the coop tray and it cleans like a breeze! 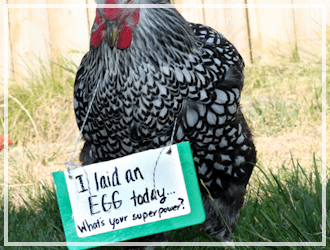 Love your coop! So cute! 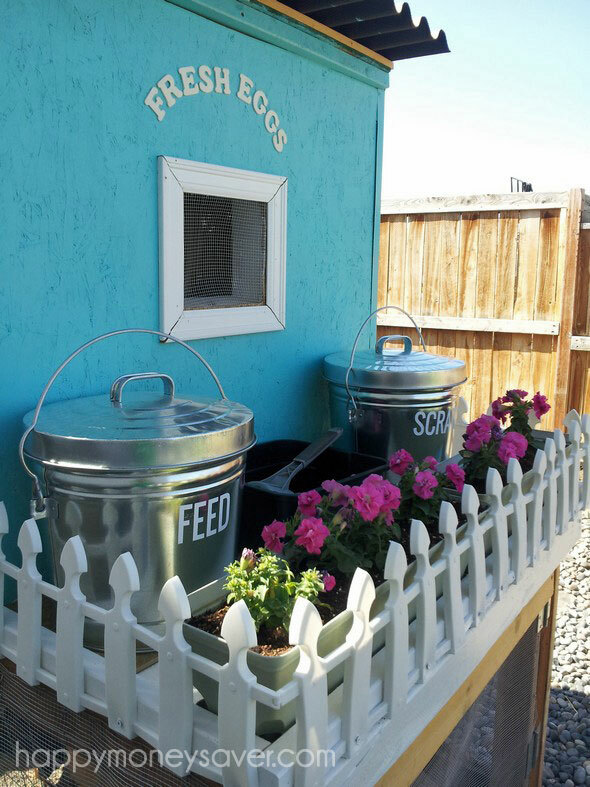 I love your little Blue Chicken Coop! 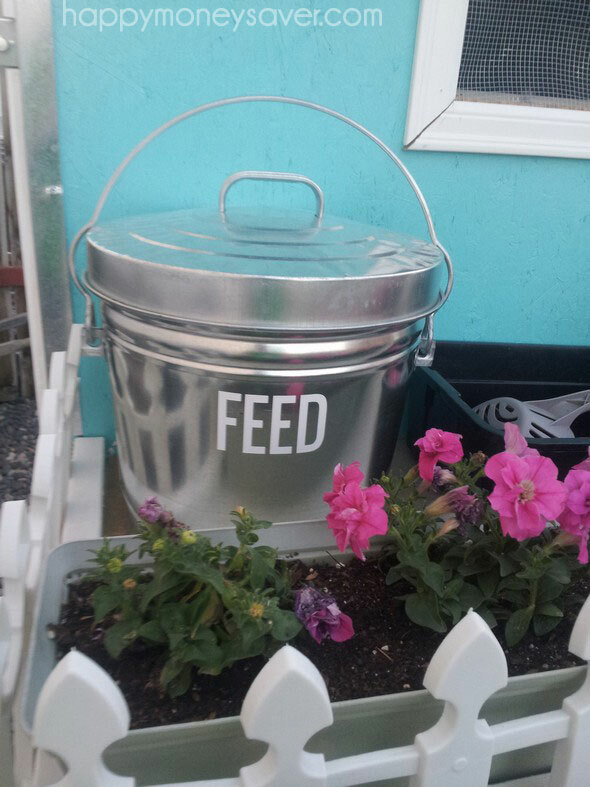 It is just too cute and I’m betting your chickens love it too! 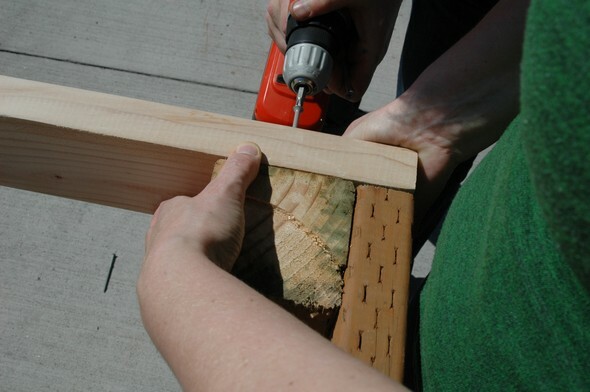 I’d say your husband is very talented to end up with a very cute and practical finished product. Very Cute coop! Just FYI: for my girls it is way easier for them to grip a wood perch like a 2×4, especially if their feet get wet in our weather! I’m sooo very jealous!!! 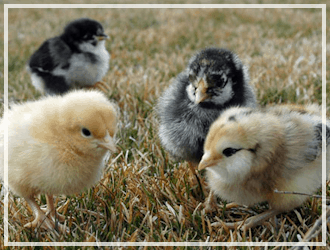 We live in the country and want chickens – eventually. 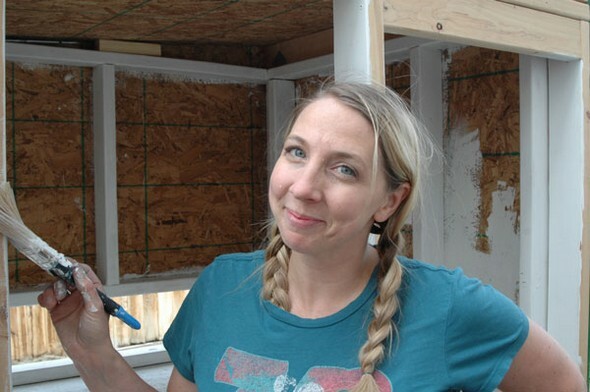 We both have a very busy schedule and the hubby’s working on building a small cabin right now with his brother at the hunting property. That being said, the “builds” at home have to wait. 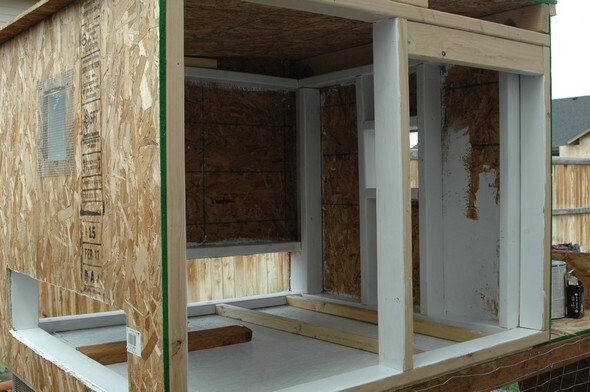 I’m definitely going to show this to him and also your comments about “making love” – maybe that’ll get him going…on the chicken coop, that is!! HAHA!! Love your posts!!!!! Hi, I have had chickens “the girls” for a couple of years now and like you, love them. They are great pets that give back, eggs 🙂 Last fall I had a break in and the masked bandit kill my girls (raccoon). I am getting ready once again for some baby chicks, easter eggers this time, with their colorful eggs. 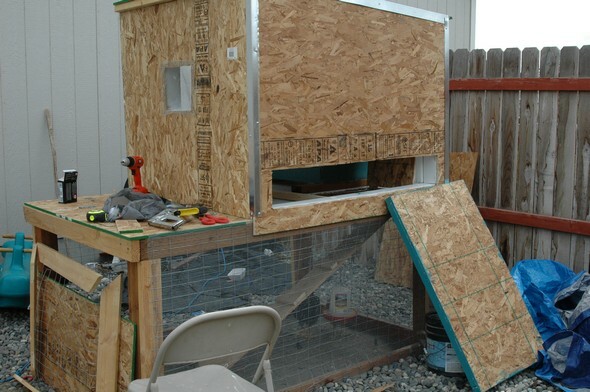 My daughter is thinking about getting some as well, so she would like me to build her a coop. 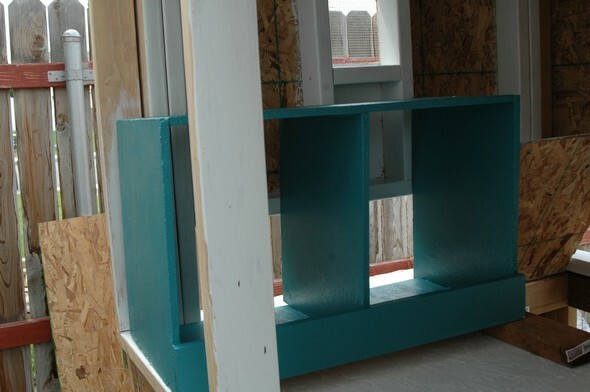 I built my, by myself (I say with a slightly puffed chest) and it turned out quite nice, but I am always look for new coop plans. 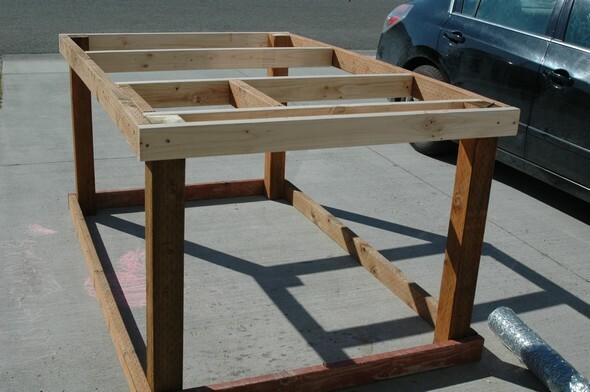 It would be nice if you give dimensions and a wood list, I would love to try this one for my daughter’s coop.